My name is Nathan Hauch. 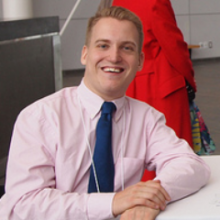 I am a public policy analyst and researcher with a focus on the social determinants of health, as well as disabilities and community participation. Other areas of focus include labour markets for people with disabilities and access to education. Research. By clearly defining the question and comprehensively aggregating different sources, use best evidence to achieve success. Policy analysis. By articulating the policy landscape and providing pathways for action, develop policies that provide better results. Strategic planning. With clarity of purpose, chart a course for change. Group facilitation. More minds are better than one – enable each voice to realize common goals. I am based in Ottawa, Canada. Be sure to check out the Facebook page. I can also be followed on Twitter as @nhauch. Please note that the opinions expressed on this site are my own and not those of my employer.